In the 1930s the Main Southern and Short North lines were re-laid with heavier rail allowing the speed limits to be raised from 50 to 60 miles per hour. Later the Hornsby to Broadmeadow and Parramatta to Penrith lines were raised to 70mph. 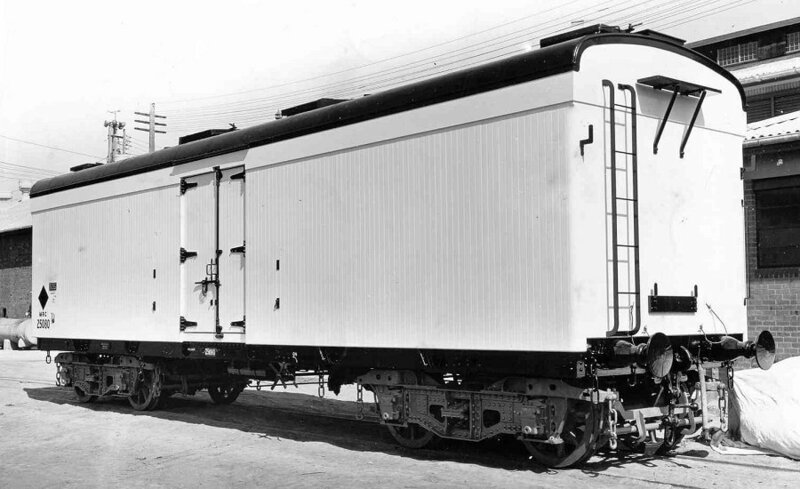 The existing ice chilled refrigerator cars (BRC) were not suitable for these new speed limits so a new design of bogie refrigerator cars was required. The new MRC car design was of similar construction style to the earlier BRC cars with timber sheathed bodywork on an iron frame with insulated interiors. The cars had a carrying capacity of 20 tons plus 2 tons of ice. In 1932 the Railway workshops built seven MRC cars to the new design. These entered traffic in November that year and later in 1933 a further 10 cars were built at Clyde by the Railway workshops. These cars were the first to use the 2AE type high speed bogie. A further 57 cars were built between 1933 to 1938 by Ritchie Bros and between 1941 to 1943 Waddingtons built 50 cars across two contracts. All 124 cars were numbered consecutively from 22854-22977, and all were built with two ice hatches, one at each end of the car roof. Between 1944 and 1946 Waddingtons built 50 cars with 6 ice hatches and between 1948 and 1950 Commonwealth Engineering built 75 cars to the same six hatch design. These cars were numbered 25050-25099 and 25700-25774. By the late 1950s, with the introduction of the TRC steel bodied ice cooled vans, most of these MRC cars had been converted and recoded as MBC. 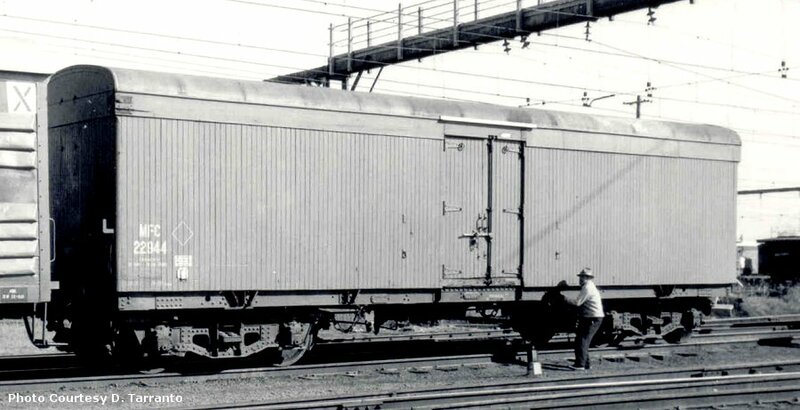 These were dry box cars with the ice hatches removed but still retained the insulated interior. In the late 1960s three MBC cars were recoded MFC for North Coast fish traffic, some MBC cars also had the insulated lining removed from the interior with a decrease in the tare weight of 5 tons. These cars were coded MB and had the carrying capacity increased to 25 tons. 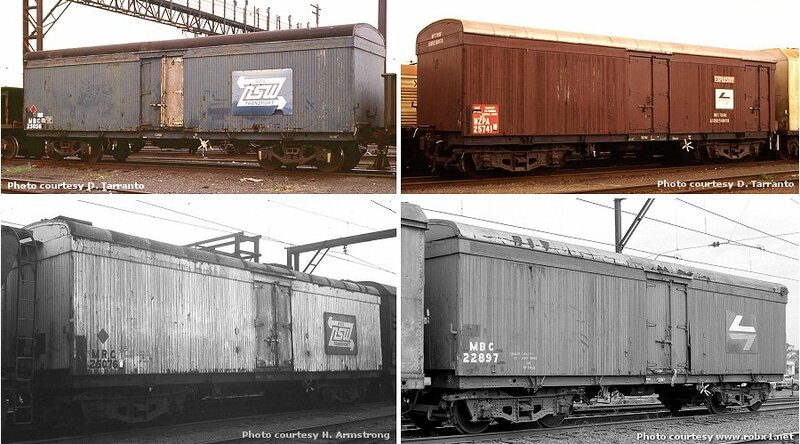 In 1973-1974 eight cars were converted to carry explosives, this conversion was an additional single side door and the removal of the interior insulation. These cars were coded BPV and later NZPA. Most cars were condemned by the late 1980s.